“Ecstasy Rising” – Documentary narrated by Peter Jennings — The history of MDMA; Used in therapy; The drug of choice in dance clubs; Why was it banned in 1985? ; Does it really cause brain damage? In 1912 chemists working for the German pharmaceutical company Merck accidentally synthesized MDMA. Due to economic reasons the MDMA molecule was barely explored, never tested on humans, and no beneficial use was discovered. Shulgin gave the drug to close friends, including Leo Zeff. 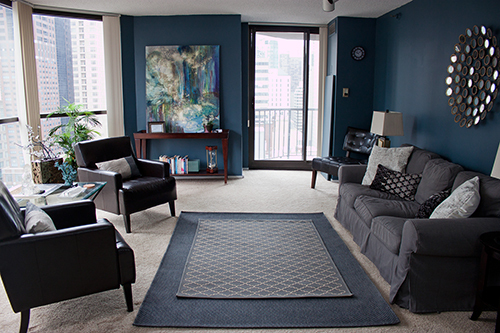 Zeff introduced the drug to many of his psychotherapist friends throughout the country. After using it themselves and being impressed with it’s ability to facilitate insight and intimacy it was given to their patients. Patient reports were that the drug helped them work through traumatic events, let go of anger, and communicate more openly and calmly with loved ones (ideal for couples therapy). In 1985 the drug became illegal despite few reported costs associated with the use of the drug (see documentary above for details). During the late 1980’s, MDMA began to grow in popularity among college students, who discovered that the drug made them feel alert, yet relaxed. Users report feelings of warmth toward each other, without the hyperactive effects of stimulant drugs. The drug gained popularity in the 1990s rave culture. After 2001 the use of the drug decreased significantly, which coincided with falsified research claiming it caused brain damage. In 2005 and 2006, the drug started gaining popularity again (mostly within the electronic music/ dance scene) when first-time users increased by 40 percent. MDMA takes effect 20 to 40 minutes after taking a tablet, with little rushes of exhilaration which can be accompanied by nausea. 60 to 90 minutes after taking the drug, the user feels the peak effects. Auditory, tactile, and visual sensations are enhanced and as long as the user is feeling safe (e.g. in a familiar environment, with friends, etc) the user generally experiences heightened feelings of empathy, emotional warmth, and self-acceptance. The effects of ecstasy subside after about 3-5 hours. Most users report the experience as being very pleasant and highly controllable. Even at the peak of the effect, people can usually deal with important matters. However, some users experience some acute cognitive impairment (e.g. difficulty recalling words, names, etc) and motor coordination impairment. The effect that makes MDMA different from other drugs is that it increases a sense of empathy, or the sensation of understanding and accepting others. The University of Chicago recently conducted research with MDMA and found that the subjects minimized non friendly social cues and exaggerated friendly social cues making them more open to social interaction with strangers and more likely to naturally discover similarities and overlook differences. Ecstacy is almost always swallowed as a tablet or capsule. A normal dose is around 100-125 mg.
Often users will use several doses in a night. It is recommended that users not take more than a dose or two to avoid the depletion of Serotonin and subsequent depressive mood when the high subsides. Some users report increased anxiety and cognitive impairment associated with using too much at once. As with most drugs, every person is different and “hitting the sweet spot” is determined by several factors such as preexisting body chemistry and psychological makeup as well as desired experience (e.g. chilling and connecting with a friend vs dancing until the sun comes up). Black market “ecstasy” tablets vary widely in strength, and often contain other drugs. Of course, it is not recommended that users take ecstasy or MDMA from unknown sources. However, at the very least users should test small amounts (e.g. breaking off a fourth of the pill) to verify the safety of the pills prior to consuming larger amounts. 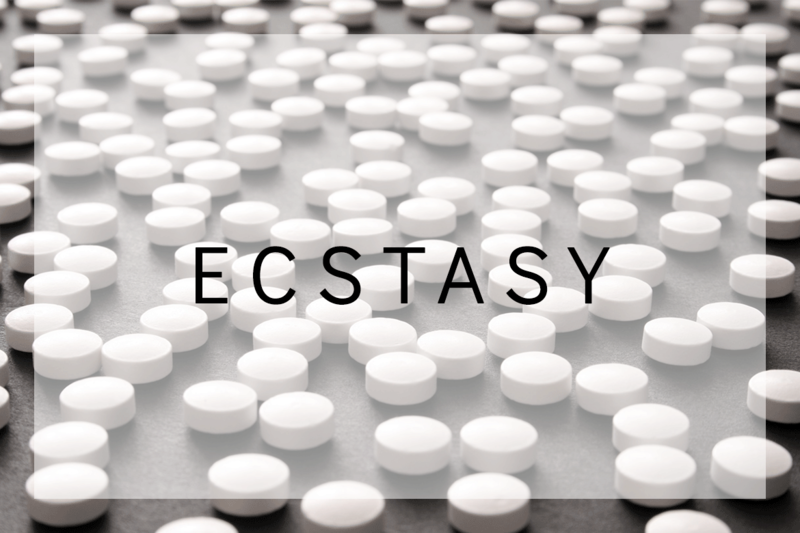 Ecstasy – Is it Addictive? Ecstasy is not physically addictive. However, the drug can often take on great importance in people’s lives, and some people become rather compulsive in their use. Taken too frequently, however, MDMA loses its special effect. MDMA releases the brain chemical serotonin, elevating mood and acting as a short-term antidepressant. Compulsive users may be unconsciously trying to self-medicate for depression. Effective treatments for depression are available with the proper diagnosis by a qualified physician. Frequent or high doses have been linked to neurotoxic damage in laboratory animals. It is still unknown whether such damage occurs in humans or, if it does, whether this has any long-term, negative consequences. However, as mentioned previously, many users report acute cognitive impairment and motor coordination disturbances. For this reason, operating a motor vehicle is not recommended when either high on ecstasy or when coming off of the drug. Some people experience depression after taking MDMA. This is caused by MDMA’s action on certain brain chemicals. You can learn more about this by reading our article on Ecstasy use and depression. There have been some deaths associated with MDMA. Usually these are the result of a user either drinking too much water or not enough when dancing for long periods of time at dance festivals, night clubs, and rave parties. People tend to be less aware that over hydration is dangerous and potentially fatal. Water intoxication occurs when the bodies normal electrolyte levels are severely thrown off balance (this occasionally also happens with marathon runners). Much of what is sold as “ecstasy” on the black market actually contains other drugs, some of which can be more dangerous than MDMA, like PMA, speed, DXM and BZP. Although MDMA is not physically addictive people can abuse it and occasionally become psychologically dependent on it. If you or someone you know is abusing Ecstasy and needs help or if you simply want more information concerning MDMA contact Jake Colton LCSW CADC to schedule an office or online appointment. 15 min free consultations available. Most forms of insurance are accepted.